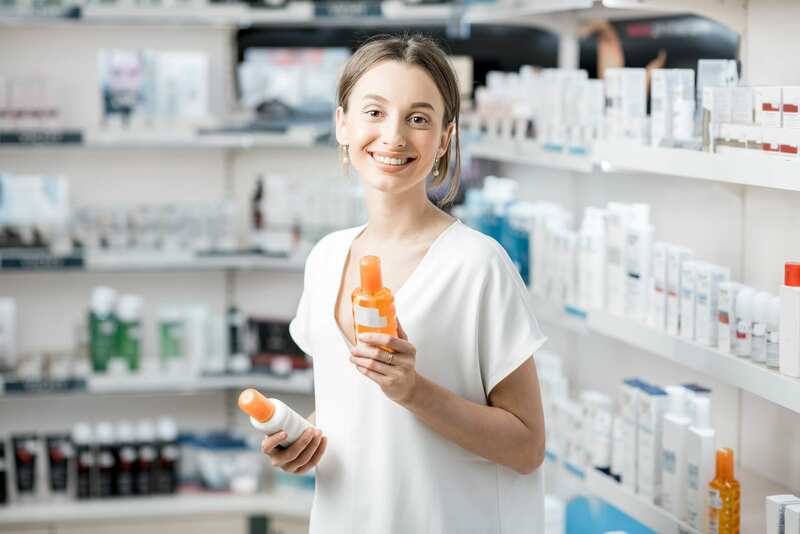 If assisting pharmacy customers in a fast-paced environment is your goal, a pharmacy technician program will help you get ready. 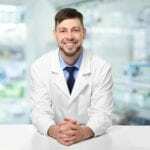 Pharmacy technician programs in Florida can be completed in just 10 to 12 months and help you to prepare for national certification to improve you job outlook. Pharmacy technicians are a critical link between consumers and pharmacists. 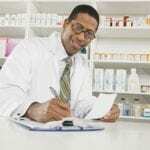 They greet customers as they enter, receive prescriptions, fill the prescription orders, update the patient database, prepare insurance claims, and ensure the pharmacist checks the order before dispensing to the customer. Pharmacies have expanded their service offerings in response to the growing needs of the aging population. The expansion of their services widens the responsibilities of pharmacy technicians and increases the demand for certification. Technicians who take the time to obtain national certification are more likely to qualify for supervisory positions, advanced their studies i specialized areas, or enroll in a PharmD program. According to the Bureau of Labor Statistics, employment in this field is expected to grow by 12 percent by 2026. Seminole State College offers a Pharmacy Technician Applied Technology Diploma and an Associate in Science Degree Clinical Pharmacy Technology program. Students contemplating the AS degree must first complete the requirements for the diploma program. The goal of the program is to prepare students to sit for the PTCB exam and work under the direction of a licensed pharmacist. The Florida Board of Pharmacy-approved curriculum includes training in current regulatory requirements taught by experienced faculty. Students will practice with modern pharmacy technology and equipment and benefit from the free services offered through the Career Development Center. The general education courses may be completed online or on campus. Course topics for the diploma program include Anatomy and Physiology, Introduction to Pharmacy Technology, Pharmacology I, Pharmacology II, Concepts in Pharmacy Technology, Concepts in Pharmacy Technology Lab, Pharmaceutics and Calculation, Pharmacy Operations, Basic IV Infusion for Pharmacy Technology, Pharmacy Technician Applications, Pharmacy Technician Practicum I, and English I. During the pharmacy technician practicum, students will have the opportunity to apply the knowledge and techniques learned in the classroom in a clinical setting and guided by a licensed pharmacist. The practicum will cover 160 hours in drug preparation and distribution, pharmacy administration, and inventory control. The duration of the programs is 16 months. Tuition for resident students is $4,175 including fees. Books and supplies cost $2,000. Rasmussen College makes it easy for students to advance in healthcare through the pharmacy technician program. Flexible schedules fit the needs of working adults. Students will be prepared to take the Pharmacy Technician Certification Exam to earn a pharmacy technician certificate. Graduates will have the option to transfer the credits to a Healthcare Associate’s degree specializing in Pharmacy Technician. The program can be completed in as little as nine months. Core courses include Career Development, Customer Service in Healthcare, Medical Terminology, Medical Law and Ethics Foundations of Pharmacy Practice Pharmacy Calculations, Pharmacology for Technicians, Sterile and Non-Sterile Compounding, Pharmacy Technician Capstone, and Pharmacy Virtual Practicum. The program offers a total of 38 general education ad core credits. It will include opportunities to practice in retail and institutional pharmacies. Tuition costs $11,980. Books and supplies cost an additional $380. They pharmacy technician program at Concorde Career Institute combines theory and hands-on training in the areas of medication preparation, distribution and storage, and drug use. Instructors will use lecture, demonstrations, videos and seminars to present the theory on campus. Hands-on opportunities in a mock pharmacy and during a pharmacy externship will aid the development of technical skills. Students will learn how to collect patient information, maintain pharmacy equipment, pharmacy administration, prepare medication for distribution, store medications, and adhere to legal and ethical guidelines. Course modules include Career Path Success A, Career Path Success B, Career Path Success C, Career Path Success D, Introduction to Pharmacy Practice Lab, Pharmacology I Lab, Pharmacology II Lab, Compounding and Aseptic Techniques Lab, Introduction to Pharmacy Practice, Pharmacology I, Pharmacology II, Compounding and Aseptic Techniques, Externship I, and Externship II. Some courses are available online. Tuition for the program is $13,400. The Pharmacy Technician certification program at FCC covers 760 contact hours in approximately 34 weeks. Students will gain a foundation in the fundamentals of pharmacy ad terminology. The program’s 8 modules will include Foundation of Pharmaceutical Care, Pharmaceutical Calculations, Community Pharmacy Practice, Instuitional and Advanced Pharmacy Practices, Medication Therapy, Medication Therapy II, Externship, and Introduction to Allied Health for Pharmacy Technicians. Students will earn 32 credits at the conclusion of the program. Students will also learn pharmacy terminology, law and ethics, professionalism, compounding, and inventory management. Graduates will be prepared for success on the PTCB exam and employment in various healthcare settings. Tuition for the program is $16,500. The pharmacy technician program at LTC gives students a foundational education in pharmaceutical compounding, dispensing medication, sterile techniques, IV preparation, and other skills. Course topics include Basic Healthcare Worker, Pharmacy Technician 1, Pharmacy Technician 2, and Pharmacy Technician 3. Students will develop communication skills understand the responsibilities of a technician and the laws and ethics that guide practice, infection control procedures, confidentiality issues, pharmaceutical chemistry and drug classification, calculating techniques, and inventory control. Upon completion of the Florida Board of Pharmacy approved program, students will be eligible to take the written examination for certification with Pharmacy Technician Certification Board. Through an articulation agreement with Lake Sumter State College, graduates will receive 24 college credits towards the Industrial Management Technology A.S. degree. Tuition is approximately $3024. Books and fees are additional. FHCA prepares students to perform pharmacy-related functions under the direct supervision of a licensed pharmacist. They will learn how to dispense prescription drugs and other medical devices to patients, perform administrative duties, and update inventory. The curriculum will include theory and practical hours in the classroom. Classes meet Monday to Friday from 9:00 am to 1:00 pm. Distance learning may be available for some courses. Tuition includes books, uniform lab supplies, HIV 4 hour certification and notepad.